During practice on Wednesday, backup quarterback Reese Phillips ruptured his Achilles tendon. He will miss at least the next five months as he recovers. Phillips’ mother announced via Facebook that her son was injured while the University of Kentucky confirmed the news a short time later. 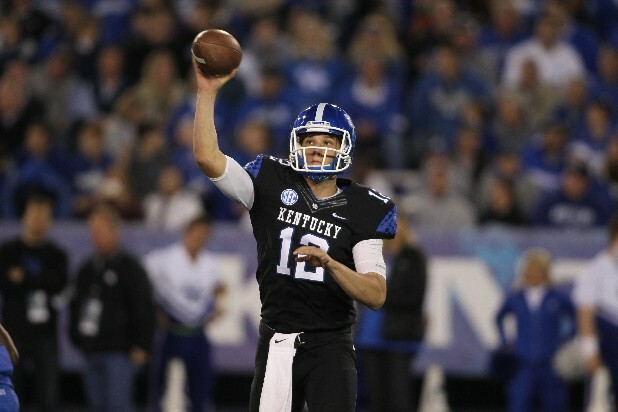 Phillips is just the latest in a series of woes at the quarterback position for Kentucky. Former Wildcats quarterback Maxwell Smith announced his decision to leave and is now with San Diego State. In late January it was announced that Drew Barker was allegedly in a bar fight with an Eastern Kentucky player that left the Eastern Kentucky player with multiple fractured bones in his face. There has been update regarding Barker’s legal status or at Kentucky. The only other quarterback on the roster is 2014 starter Patrick Towles. Towles showed flashes of excellent in 2014 going 225 of 393 for 2,718 yards with 14 touchdowns and 9 interceptions. Quarterback Davis Mattingly is part of the 2015 Kentucky class and could be pressed into action if none of the other players return in time. Offensive lineman Matt Hegarty told ESPN.com that he has decided to leave the Notre Dame Fighting Irish via transfer later this year. He is expected to graduate in May, which would allow him to seek a graduate transfer under NCAA rules. The senior from Aztec, New Mexico has been through a lot in his time with the Irish. He suffered a stroke in 2012, but overcame that to be a regular backup in 2013 when he played in 12 games. He started against Stanford in 2013 before becoming a permanent starter in 2014 when he started 11 of 13 games at center and guard. Hegarty had the following statement via ESPN.com, “I am extremely grateful for the opportunity that the Notre Dame Football program has afforded me. I want to thank Notre Dame, my coaches, my teammates and friends at school for the four great years I had at Notre Dame. I also want to thank the Notre Dame Nation for all of their support over the years. My focus has been to pour myself into everything that I have done at ND. I have worked hard and have always done everything that was asked of me. Recently my coaches informed me that they wanted me to change positions. They also explained that with many younger players in the wings, they wanted to develop them more heavily in the rotation — a need that I understand and appreciate. Unfortunately, I have already had to miss a precious amount of football battling back from my stroke, and I value every rep and opportunity going into my final year of college ball that much more. My goal is to contribute this season, continue to develop my skills and pursue my dream of playing in the NFL. Because of this goal, I have asked for a transfer to play at another school where I can contribute more on the field. Notre Dame has amassed formidable depth on the O-line and have many very talented players to fill all positions. There is no word on which schools he is considering transferring to, but pursuant to NCAA rules if it is to a transfer to another FBS school, it must be to an institution that offers a graduate program not offered at his previous institution (Notre Dame). 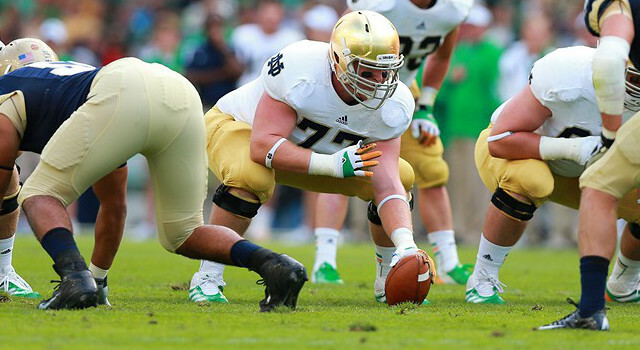 Hegarty was expected to start for Notre Dame again in 2015. The Irish still return 4 of 5 starters without Hegarty and should do well in the upcoming season as long as they avoid injury.